We have submitted plans for residential accommodation at the gateway to Merchant City. Revisiting a key regeneration opportunity, we are proposing residential living aimed at attracting people to live in the city centre, in line with Glasgow City Council strategy and policies. Merchant Residential, at the corner of the High Street and George Street, will include a mix of office and retail space for start-ups and businesses as well as private-rental apartments. The proposals have the potential to create more than 500 jobs and bring an investment of £40million to the local area. To date, we have launched a proposal of Application Notice ahead of the formal pre-application process. 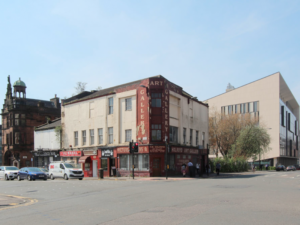 Our ambitions continue to be to turn a dilapidated site into an attractive mix of residential accommodation for residents choosing to rent close to the city amenities, shops, bars, restaurants, and transport links. Merchant Residential will be managed by the company’s in-house property management-arm, BOHO. We’ve launched a project website Merchant Residential to chart our journey.